© Aseel Barghuthi. All rights reserved. 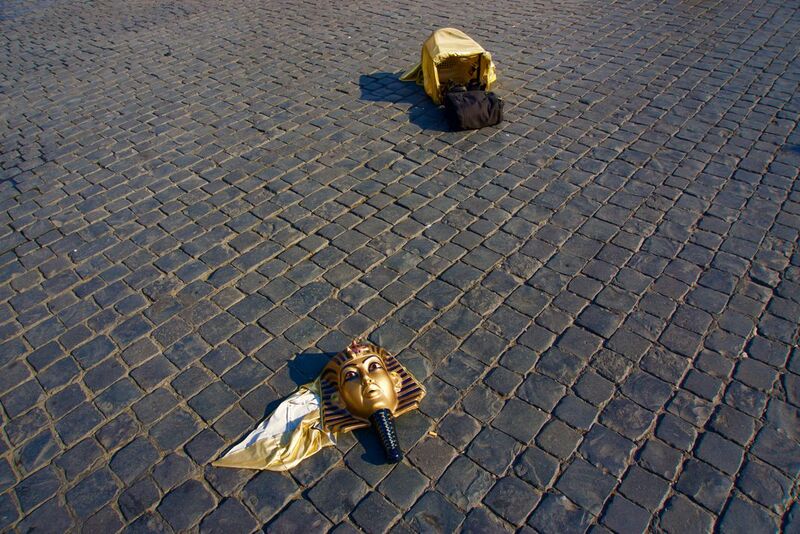 The dissonant state of contemporary civilization and society is perfectly captured by the abandoned mask of an ancient Egyptian king, melting in the middle of a hot Roman piazza. The title is slightly tongue in cheek as the death of the ancient boy king remains a mystery. Date Uploaded: July 8, 2015, 1:43 p.m.